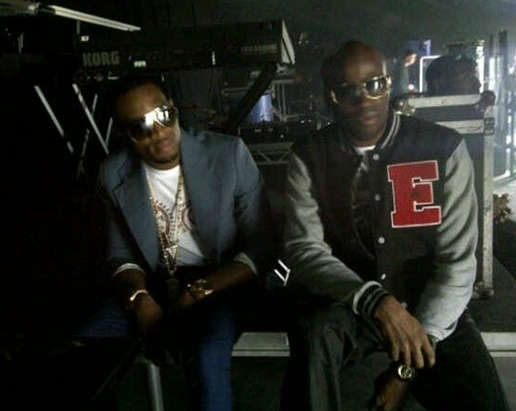 D'banj performed at the Ongoing BBC Radio 1's hackney weekend 2012 yesterday(June 23) in front of over 50,000 people . Ikechukwu and K-Swith joined him on stage to perform singles like Olohun maje ,Oliver twist and suddenly . The weekend was kicked off by singer leona lewis and many stars like rita ora, trey songz , ed sheeran,nicki minaj ,performed after . It was headlined by Jay Z . check the videos below for now. If it were before, Dbanj would have secured this kind of deal and the entire mohits crew would have taken the glory, including Don Jazzy. Since the split, how many A list shows has the Mavin crew performed or participated in? None!!!!! @ prevıous comment! Oh please, gıve a break! Do you know HOW d'banj has been able to secure all these deals? Huh? Do you know ıf he had to sacrıfıce somethıng or become a member of a well known secret cult known as the Illumınatı to become what he ıs today? It ıs no secret that he began to roll wıth the lıkes of Kanye west, a well known member of the group,so dont blame Don jazzy 4 not wantıng to have anythıng to do wıth such cult. Eja nla. Wa gbayi koko master!! We leave all i̶̲̥̅̊n̶̲̥̅̊ the hands of God, who knoweth all things.